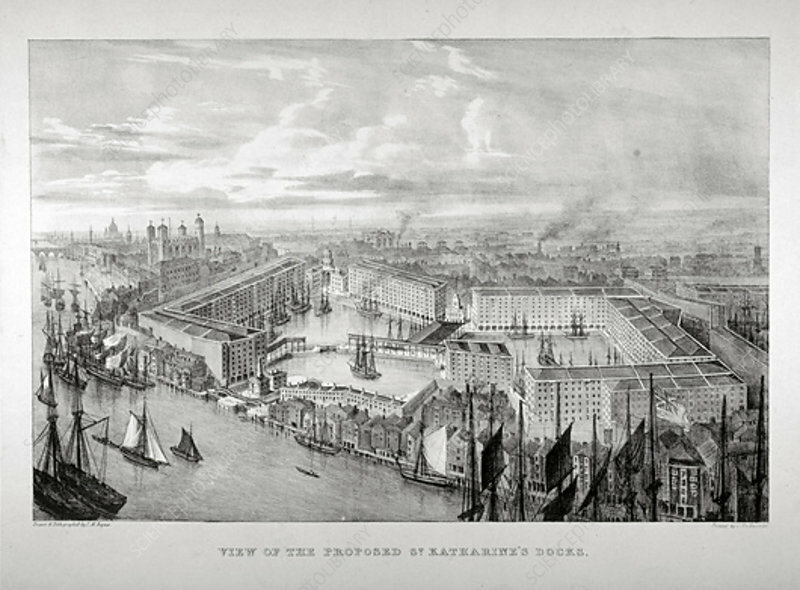 View of the proposed St Katharine's Dock, London, c1825. Also showing the Tower of London and ships and boats on the River Thames. The docks opened in October 1828. They were the only major project to be undertaken in London by the famous engineer Thomas Telford.